Certain Christians respond to any new white male massacre of Americans with some cliche like “It’s a sin problem.” Of course, there’s clearly a sin problem. That’s the root of multitudes of problems. Unfortunately, what they really intend is that we together should not even try to reduce these massacres or their extensive impacts. We should not even talk about it, or try to research what’s actually happening. 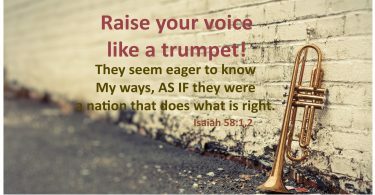 I’m sorry to make that unpleasant assumption – but Jesus taught us to let these people’s actions speak louder than their words. They claim, or at least imply, that the real solution is more fervent religious activity. But no, I guess that’s not what they mean, because I don’t see anyone coming up with a serious plan from that angle, nothing focused on this particular problem. They don’t want us to focus on this particular problem. It seems the real agenda may be just to protect the violent. leave alone the rampant simple public access to assault weapons. I hear no plausible (or even implausible) planning or working toward deep improvement of our society’s sin problem, let alone as that sin problem relates directly to gun massacres. Don’t we have to assume they aren’t serious about dealing with that? we provide bank examiners to try to protect our deposits. Did Jesus himself ever help people who might have had some sin issues in their lives, or sin at the root of their problems? Yes, he did. THAT is our example. We have fire departments, EMTs, and police – emergency responders. We still have Emergency Departments to treat the VICTIMS of sin. If “the real problem is sin”, why bother with all these other efforts? But – did Jesus himself ever help people who might have had some sin issues in their lives, or sin at the root of their problems? Yes, he did. THAT is our example. Come on, folks. Doesn’t it seem very strange that we don’t take that can’t-talk-about-it attitude toward our great array of other problems, but only with the gun-massacres of our fellow (innocent!) Americans! You know, we didn’t have this massacres problem on anything like this scale 10 years ago. Was there a lot lower percentage of “sin” or of “sinners” in American society then? I doubt it. Maybe the problem lies elsewhere – maybe the sin is operating in US. Did you know we have deliberately refused to allow government agencies to STUDY the frequency or context of gun-use homicides – or suicides? Doesn’t it seem very strange that we don’t take that can’t-talk-about-it attitude toward our great array of other problems, but only with the gun-massacres of our fellow (innocent!) 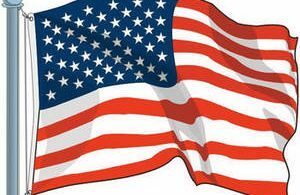 Americans! Did you know they really don’t want us to even TALK SERIOUSLY or in any detail about why this is happening and what options there MIGHT be available to help reduce it? Do we realize that because of these REFUSALS a lot of Americans are afraid to go to church – not because of what government goon squads might do, but because of the wildly unpredictable behavior of very heavily armed loners? Do we realize that because of these REFUSALS a LOT OF US have been killed unnecessarily, and very unjustly, as we go about our normal lives? Do we realize how much ongoing trauma is being suffered, how much brutality – emotionally, spiritually, financially – VICTIMS’ FAMILIES are still going through – and SURVIVORS of the attacks? Do we realize? Do we care? They DON’T EVEN WANT US TO TALK ABOUT IT! 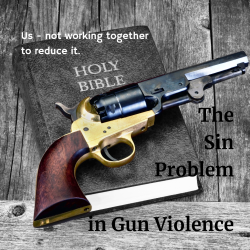 The “SIN PROBLEM” in Gun Violence Is US NOT WORKING TOGETHER to Reduce It!